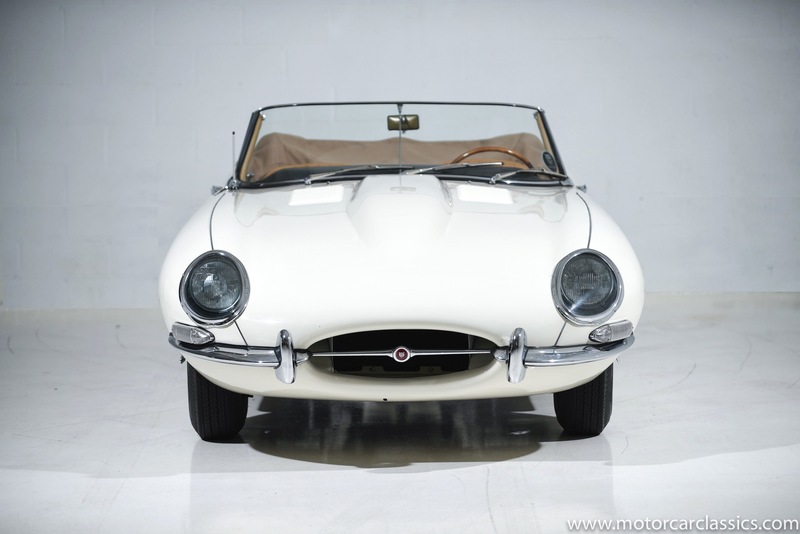 1965 JAGUAR E-TYPE ROADSTER for sale. 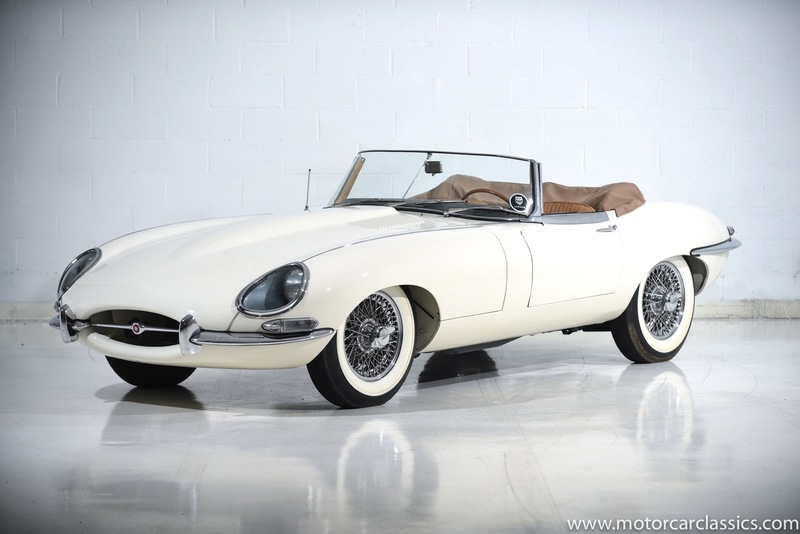 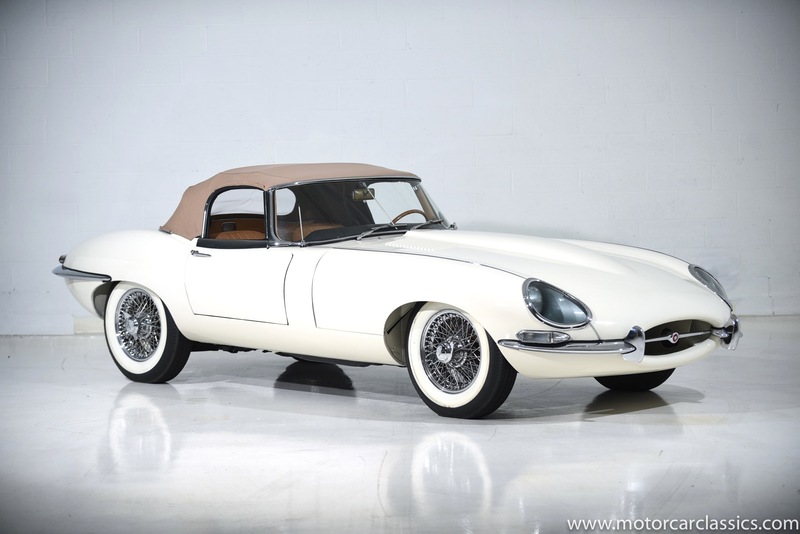 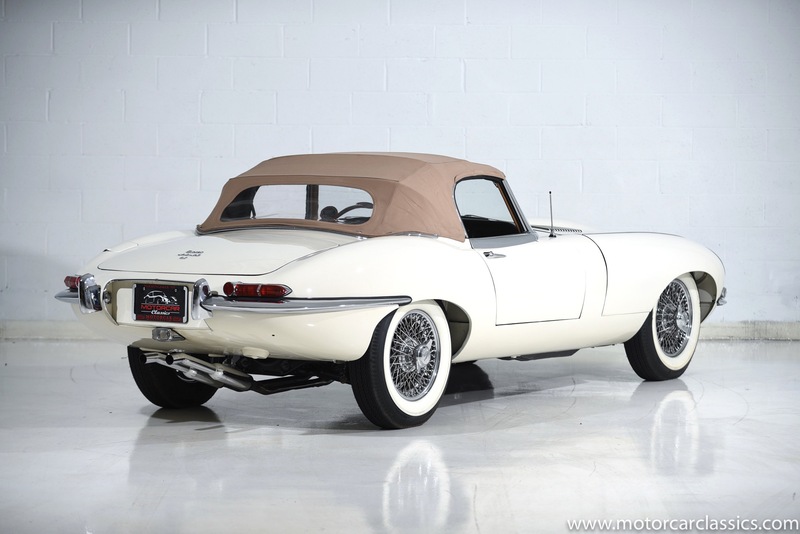 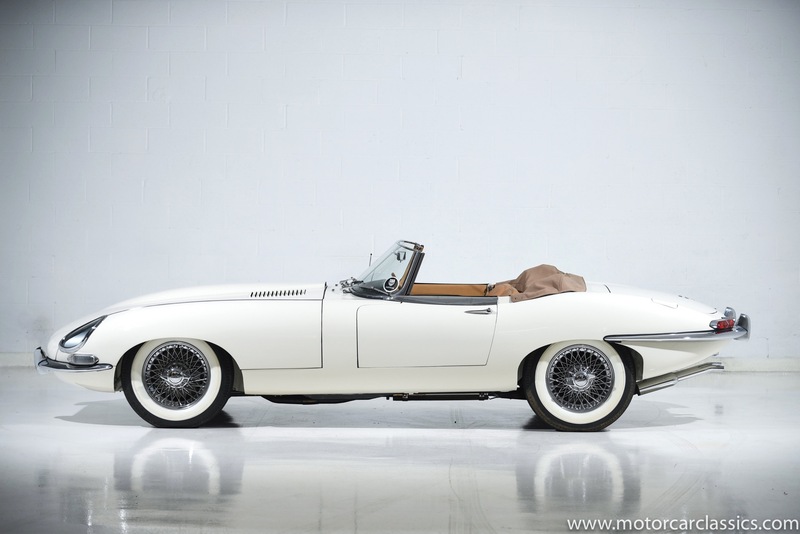 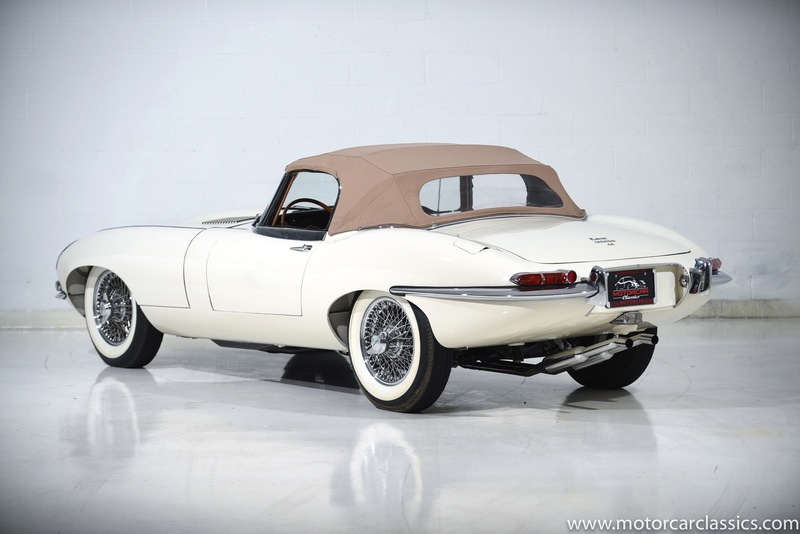 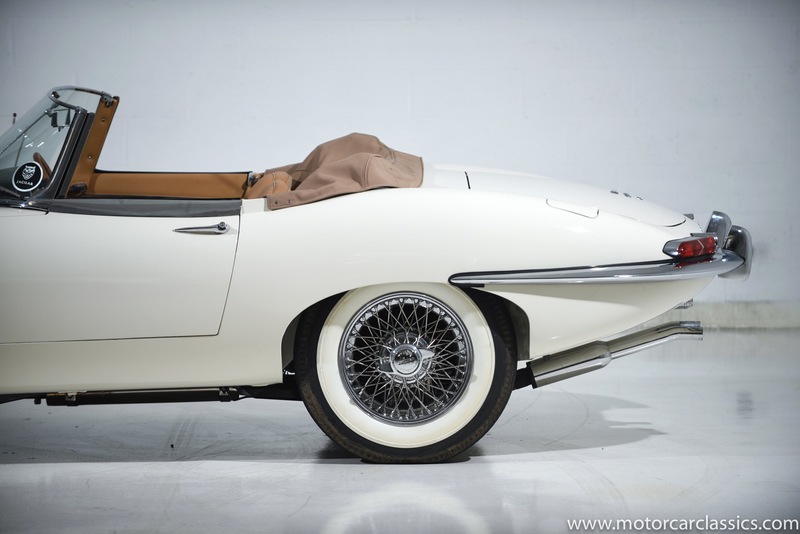 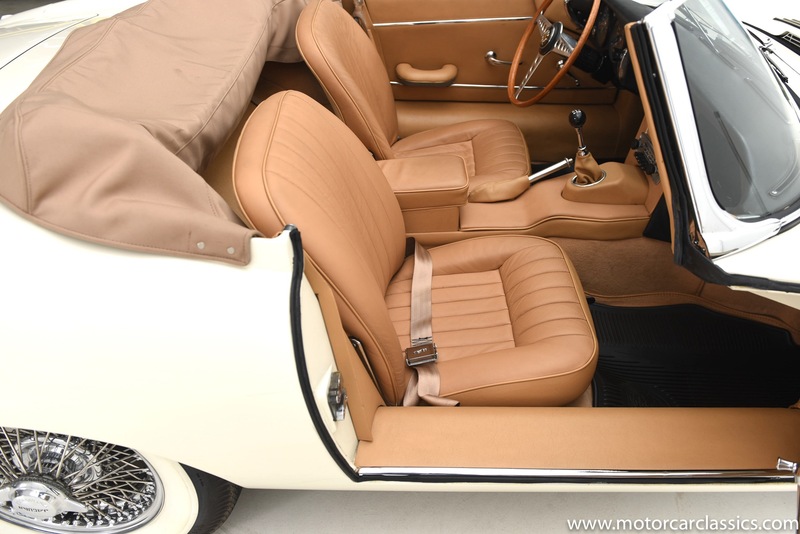 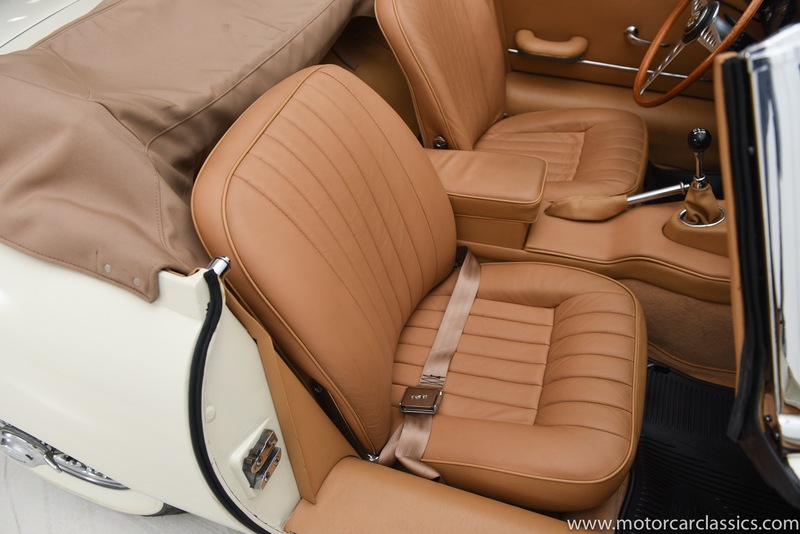 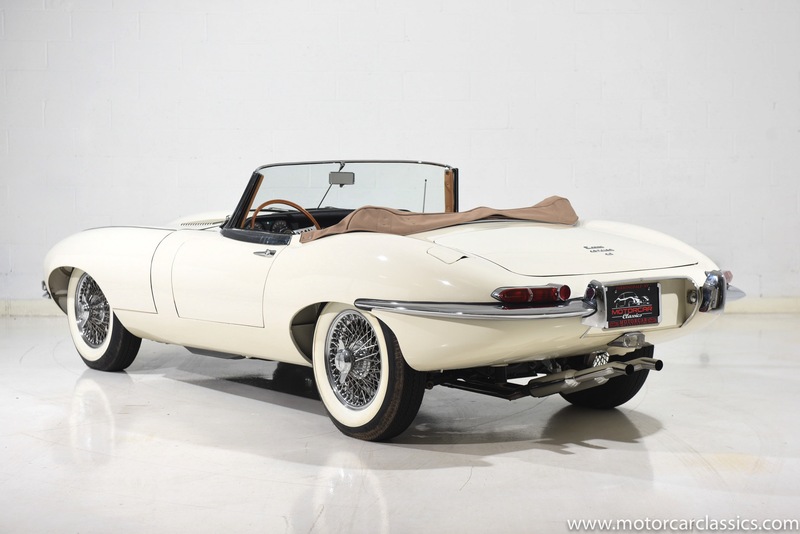 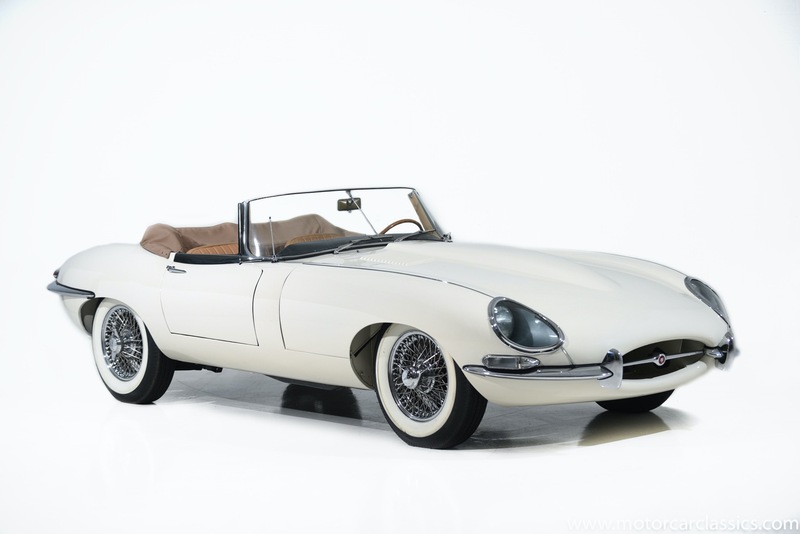 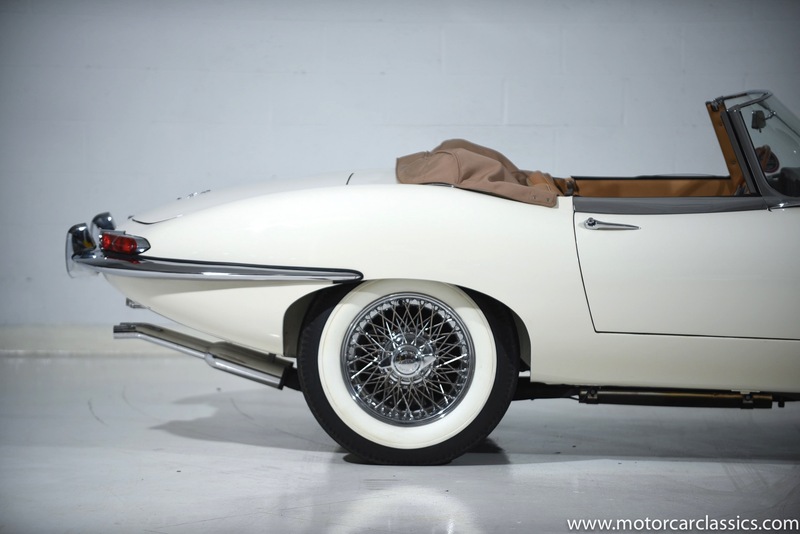 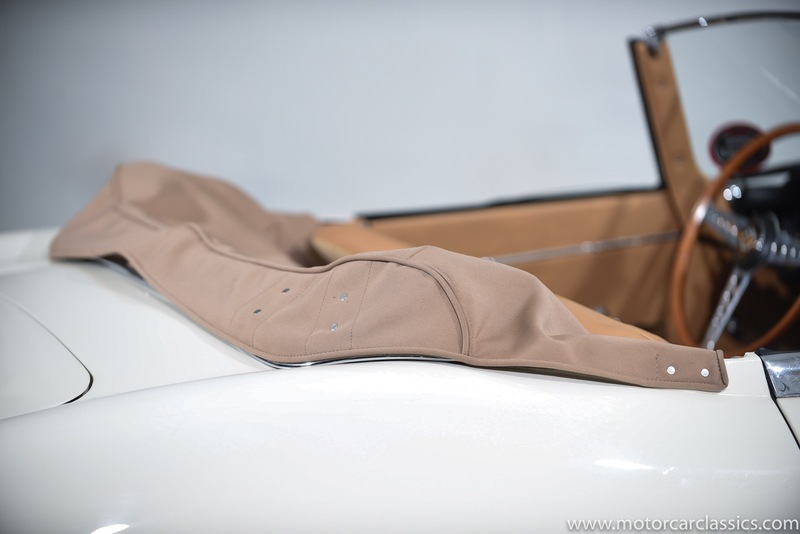 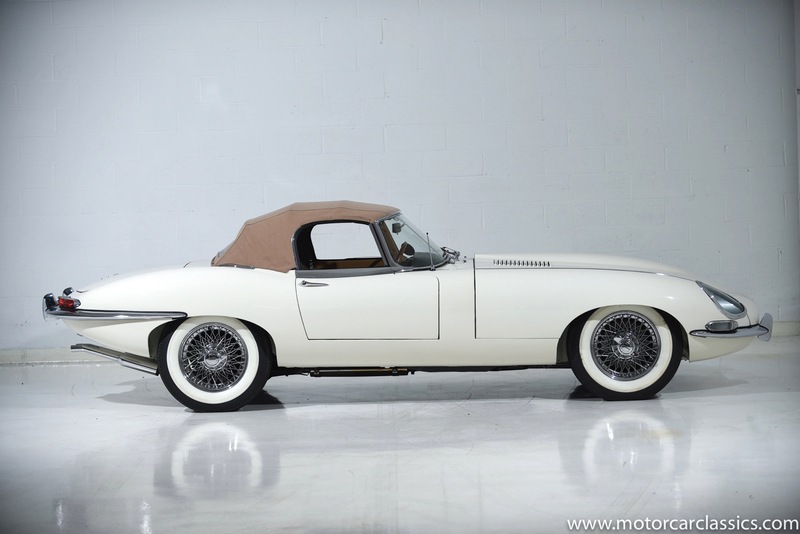 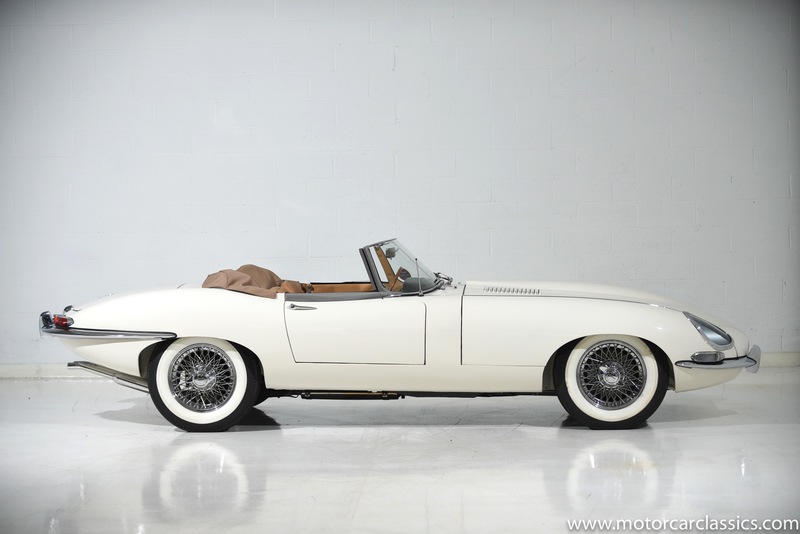 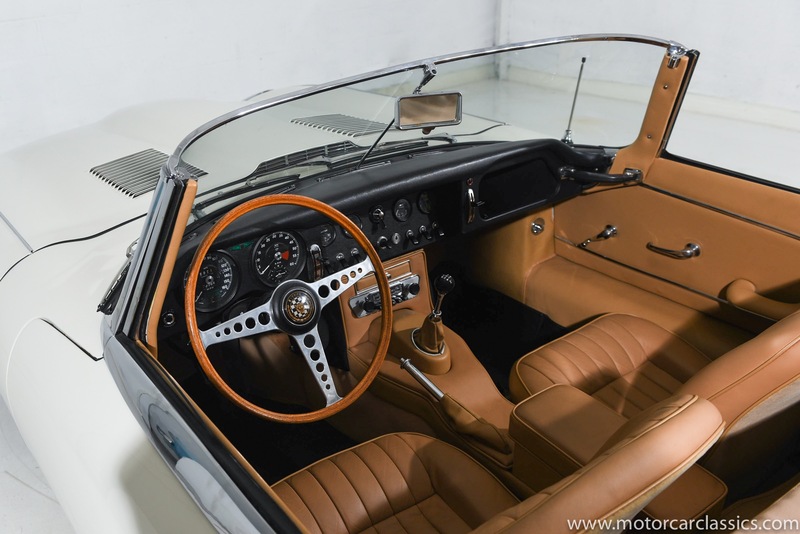 Motorcar Classics is proud to present this stunning 1965 Jaguar E-Type roadster featured in its original color of Old English White with the nearly perfect complement of tan leather interior and tan soft-top with matching boot. 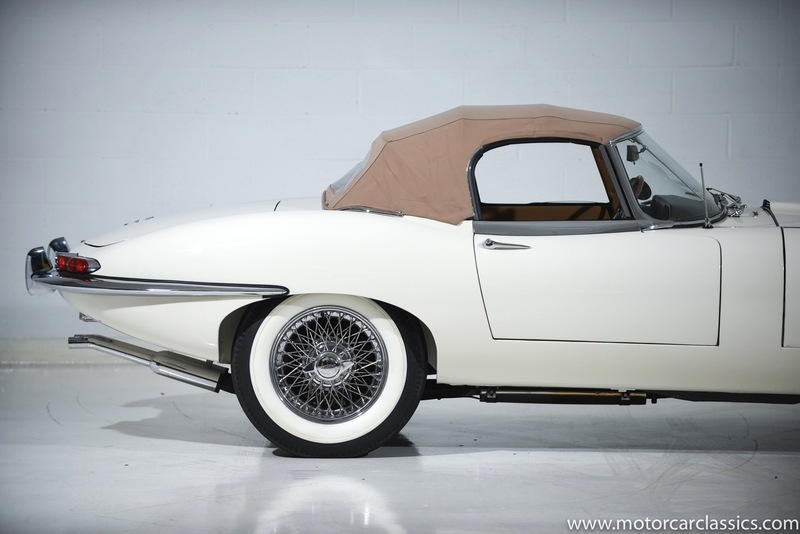 This desirable Series I.5 roadster has benefited from a meticulous restoration based on a solid original car. 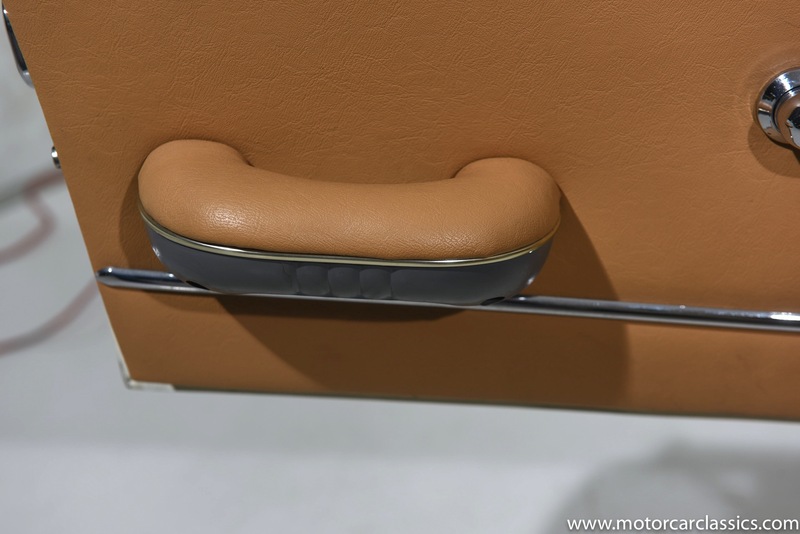 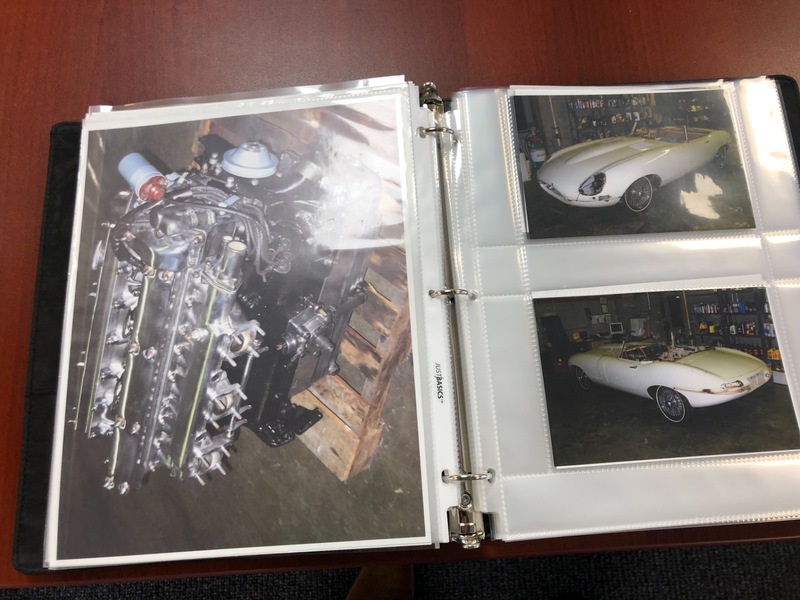 The car is accompanied by a binder with before and after photos that illustrate the fine level of preparation and final presentation with photo-documentation of its high-quality restoration. 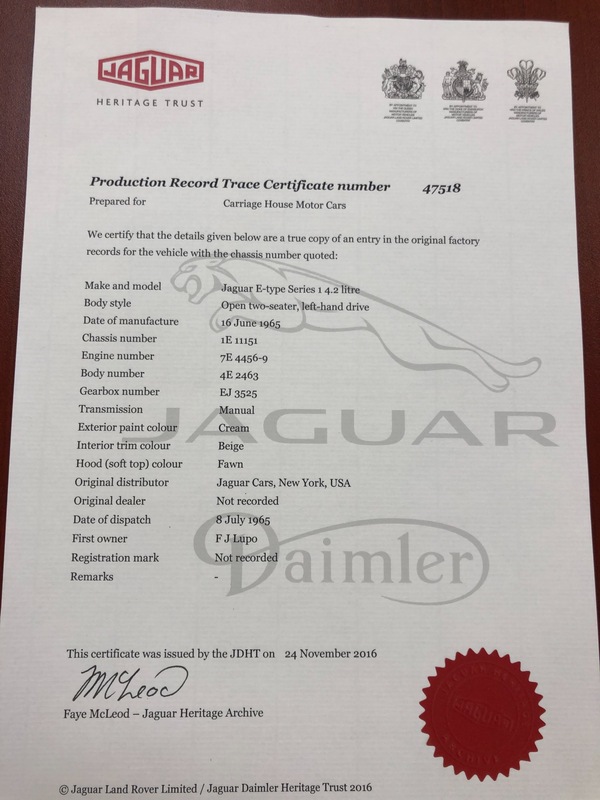 The binder includes ownership history from new, correspondence with prior owners, and a JDHT Heritage Certificate. 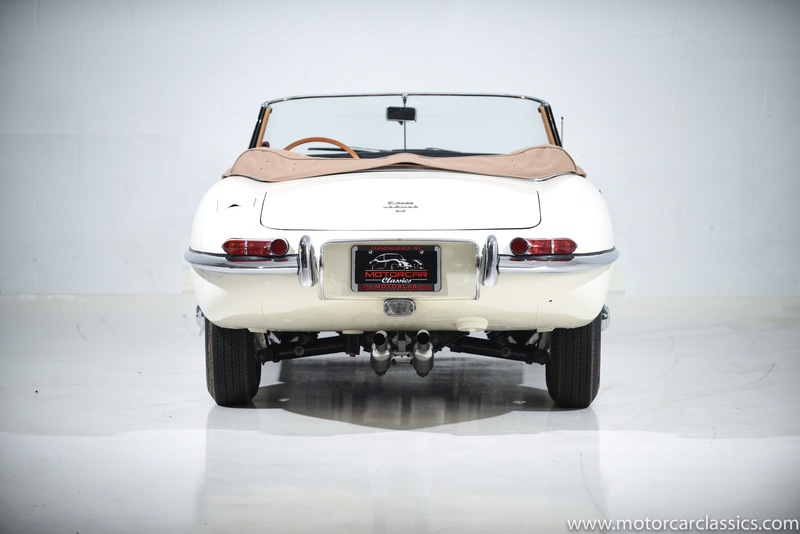 The car has less than 38,000 actual miles from new, with only 200 miles being driven since its completion. 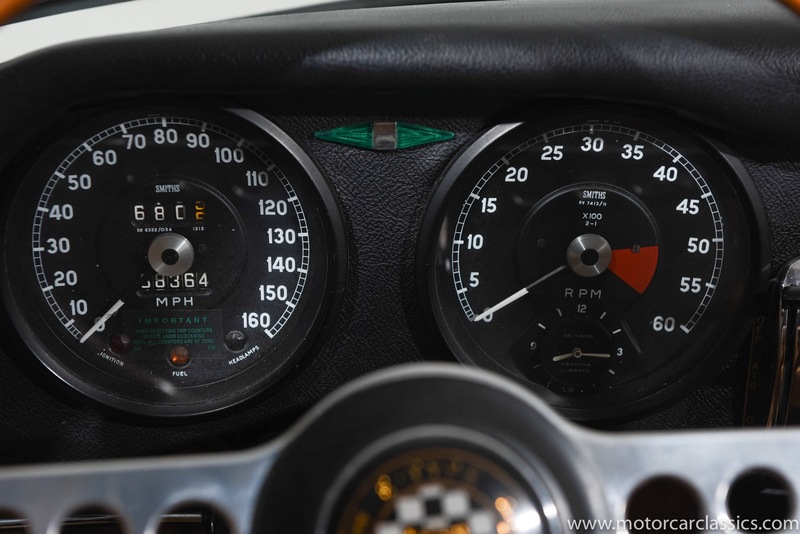 The numbers all match and the components are all original. 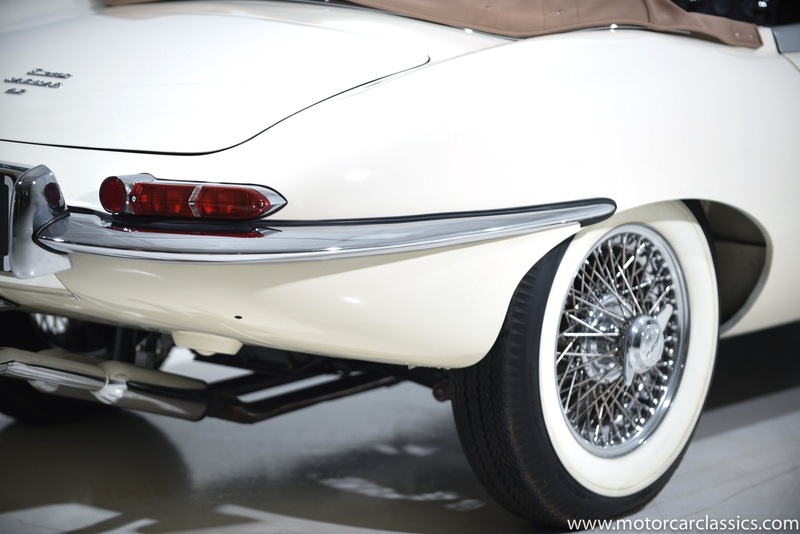 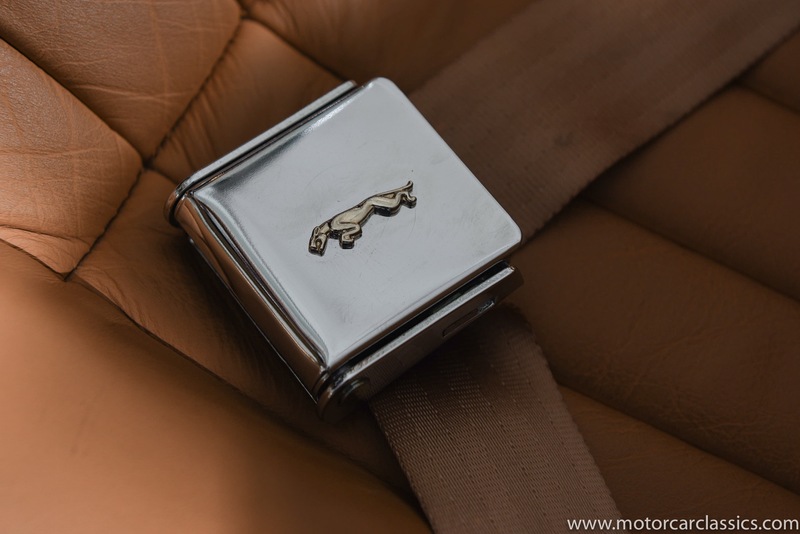 Our Jaguar is a magnificent example of one of the most sought-after versions of the E-Type with covered headlamps, synchromesh gearbox, triple-SU carb 4.2L DOHC motor, period AM/FM radio, wood-rim wheel and toggle switch dashboard. 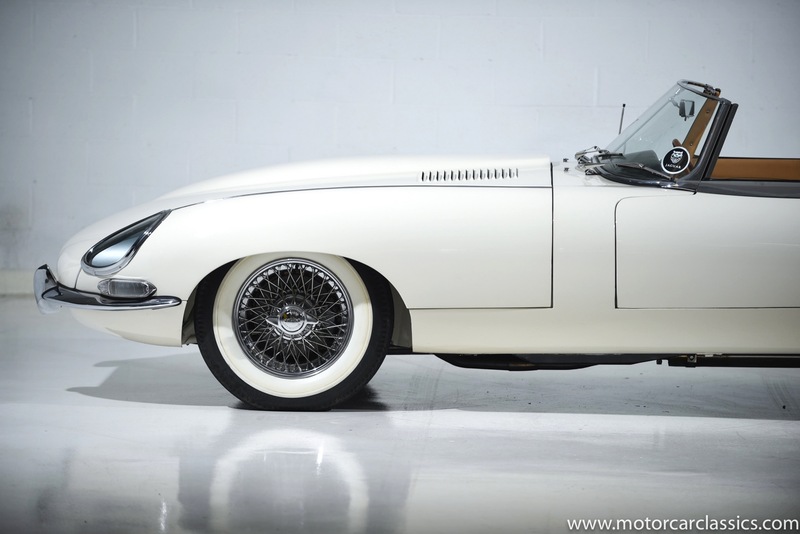 Of course, chromed knock-off wire wheels were part of the package and our car is fitted with tasteful wide whitewall tires that fit with the period presentation. 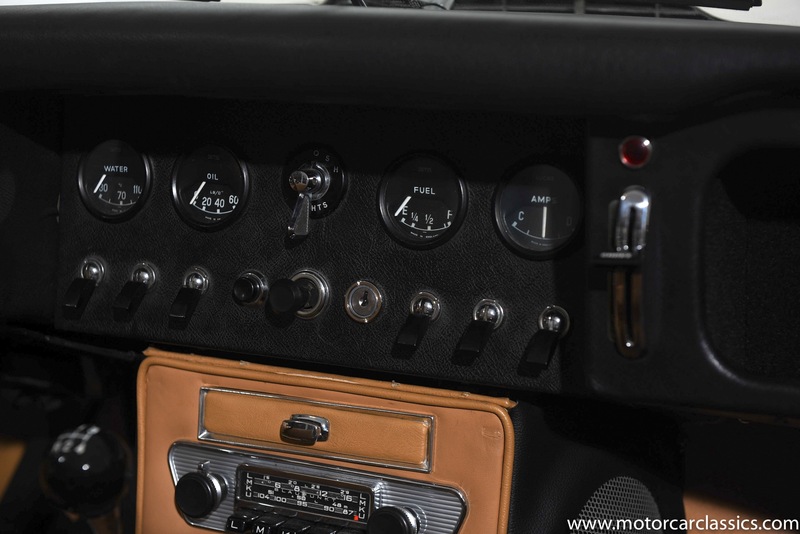 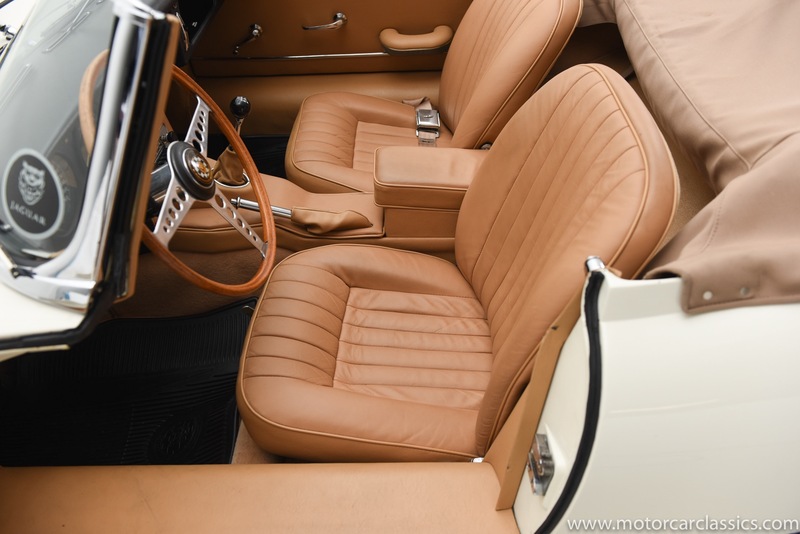 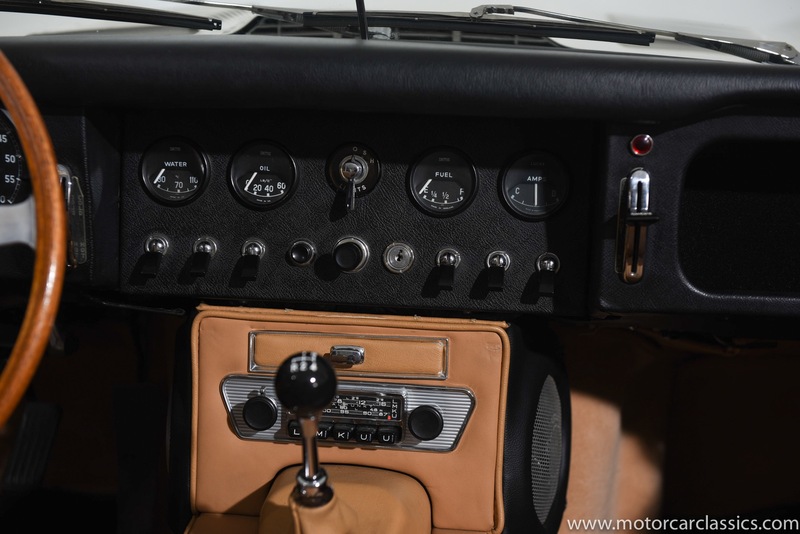 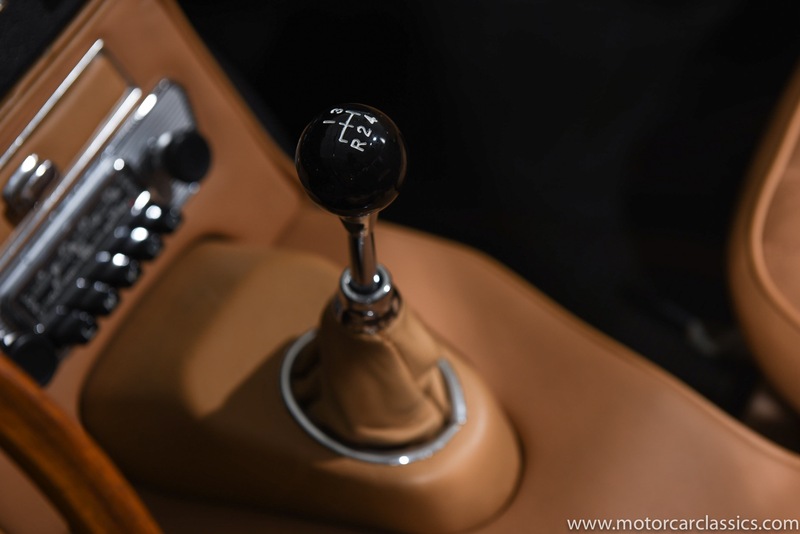 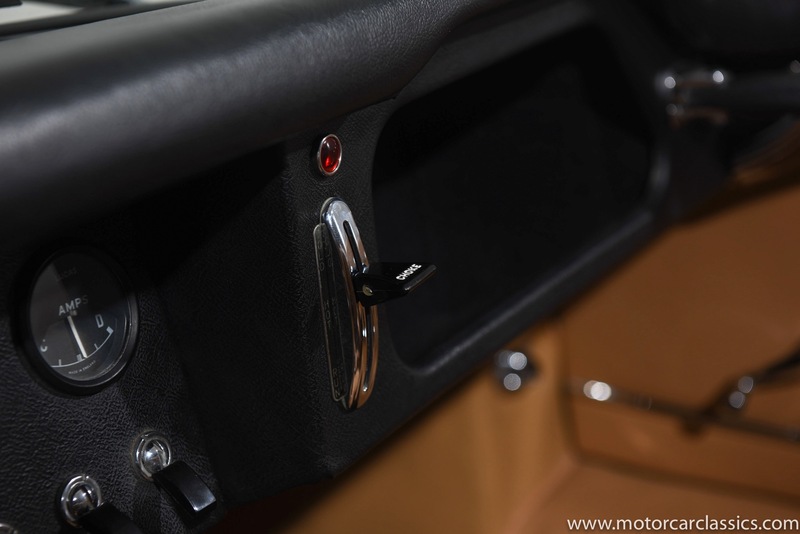 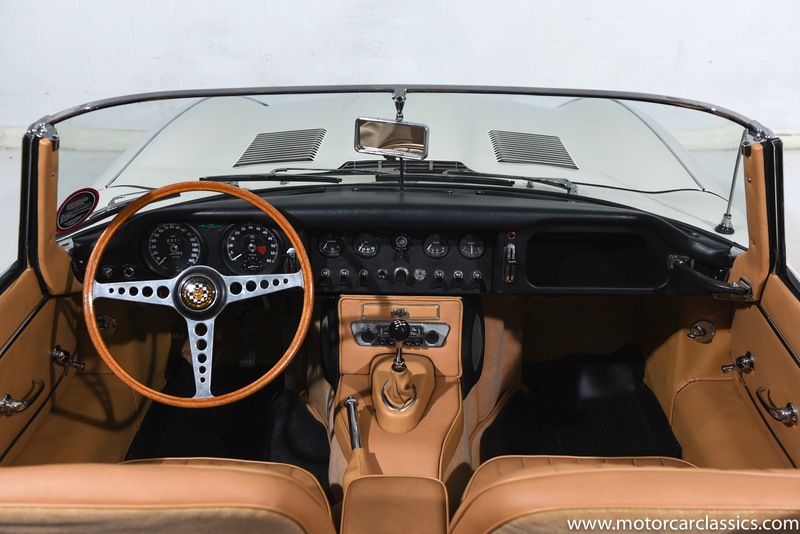 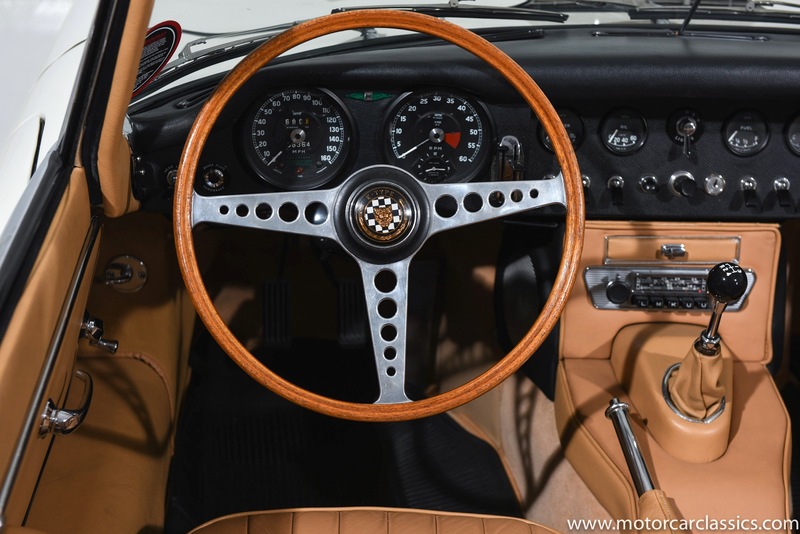 The interior has an almost aircraft-type feel with Smiths instrumentation, numerous dashboard toggle switches, wood-rimmed steering wheel with growler center cap and a period AM/FM radio. 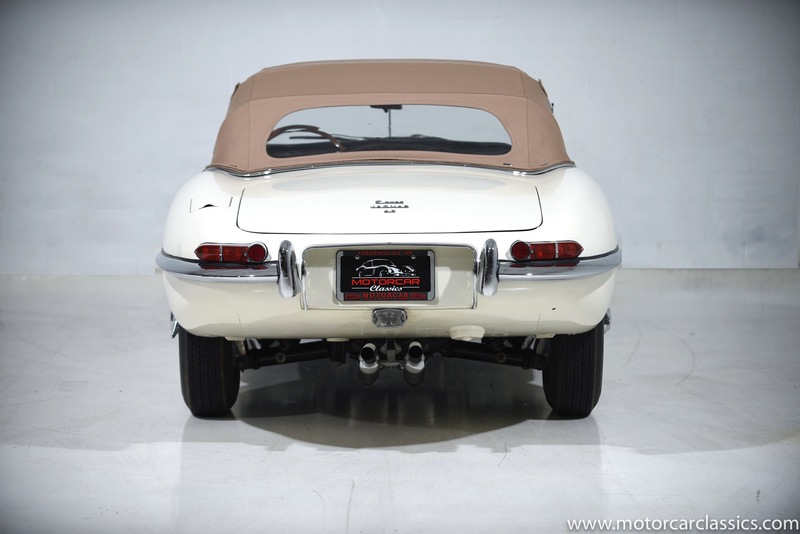 The engine bay and undercarriage were present in a manner consistent with the rest of the car. 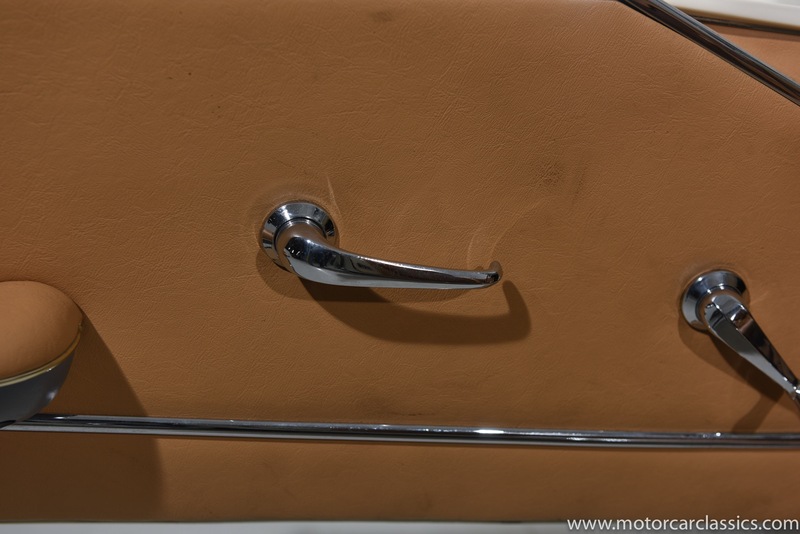 The underside and wheelwells are all painted, with no undercoating. 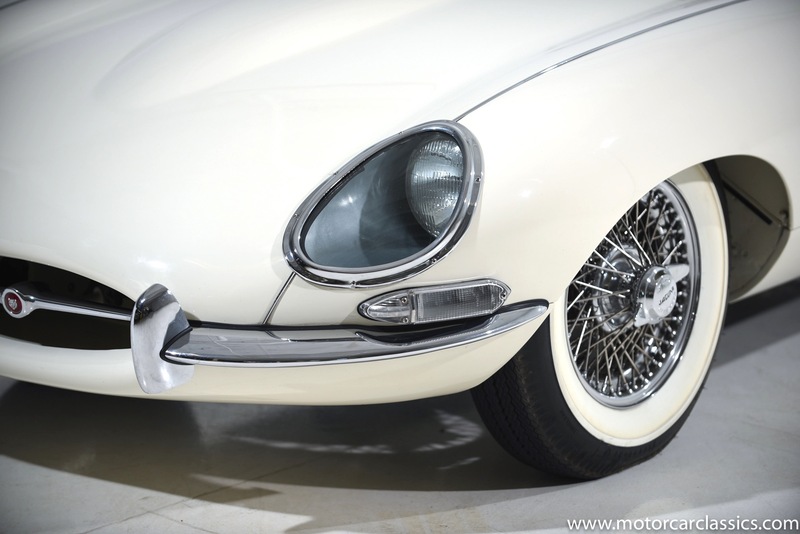 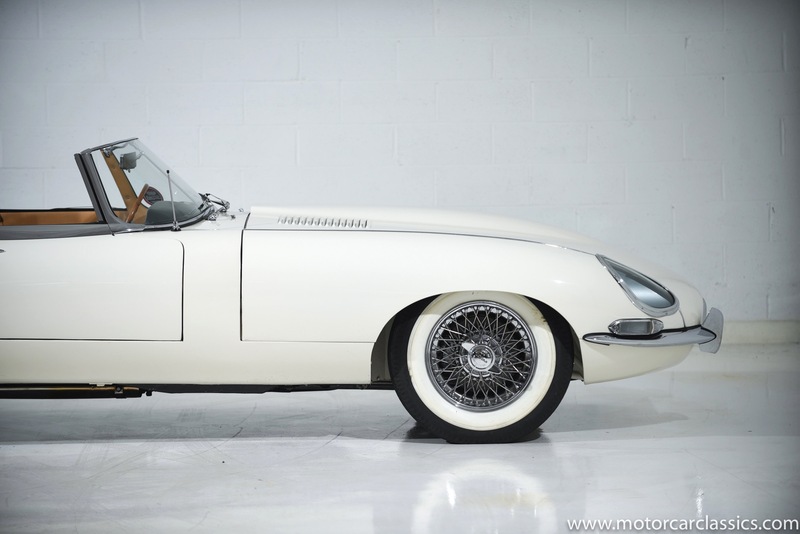 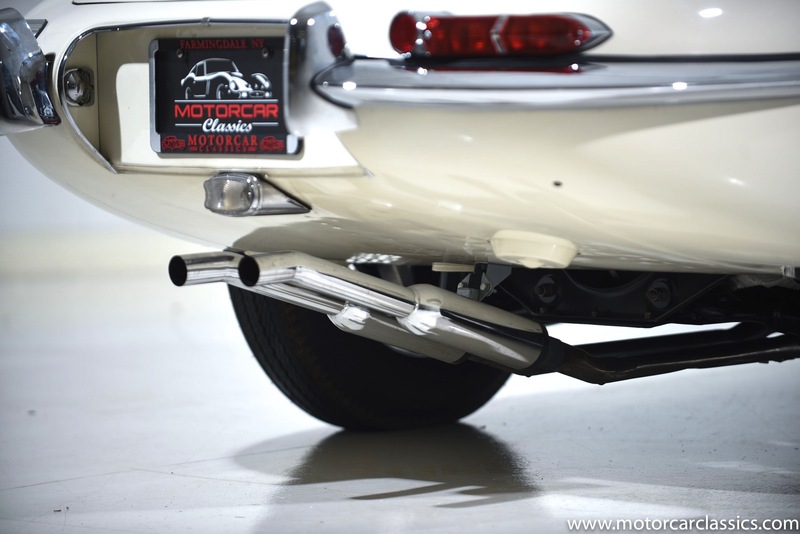 This fine E-Type runs and drives well and offers the same thrill that XKEs were known for when new. 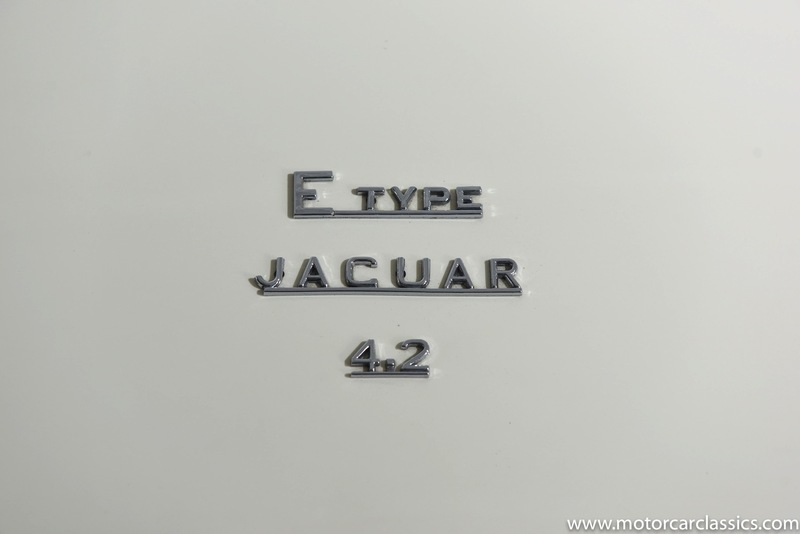 It is an investment-grade example.